This article is based on an example of listening to learning within a pre-kindergarten classroom and how teachers tuning into student voices helped to shape the direction of our inquiry into the transdisciplinary theme of ‘How we express ourselves’. 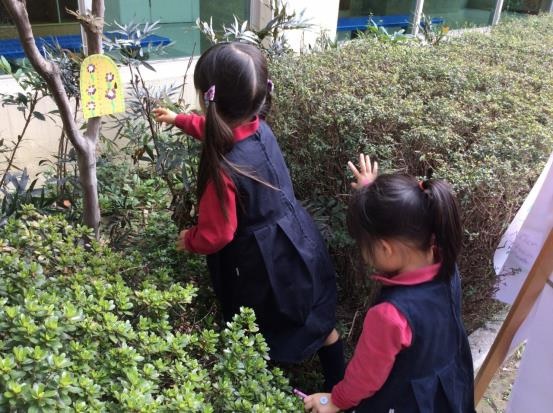 Within our school in Suzhou, China, our pre-kindergarten learners shine brightly as leaders in their quest for understanding and experts in their play. As a co-teaching partnership, my colleague Anna and I understand that often our job is to listen to learning and to take our cues from what we hear. As we began our inquiry into the central idea that “imagination extends our ability to think, create and express ourselves”, Anna and I were supervising outside morning play and talking about how to get started. What provocations might we set up? What stories might we share? As we were talking, a most extraordinary thing was taking place, not five feet from us. One of our students had bent down in concentration, another had joined, and another, until a little group huddled closely, and the buzz of their excitement was reaching us. As I approached, one of our students exclaimed: “Look! Look what we found! It is a blanket from a fairy!” The “blanket” was a golden sweet wrapper, cradled carefully in the hands of a 4-year-old child. As I examined this treasure, our students began to add to the fabric of the tale. “There must be a fairy house nearby! Where could it be?”, said one learner. “I hope the fairy is not cold without her blanket!”, add another one. Little voices erupted around Anna and I, brimming with excitement and ready to seek out magic. Here are the children who found the fairy blanket initially. Many more children began to join in. In The learner in the enhanced PYP communication, it is said that “agency is present when students partner with teachers and members of the learning community to take charge of what, where, why, with whom and when they learn” (IB, 2017). Student agency is supported when teachers marry the interests, talents and skills of the children to the inquiry. Samuellson (2008) notes that play, initiated by children, is often separate to learning, initiated by the adults around them. 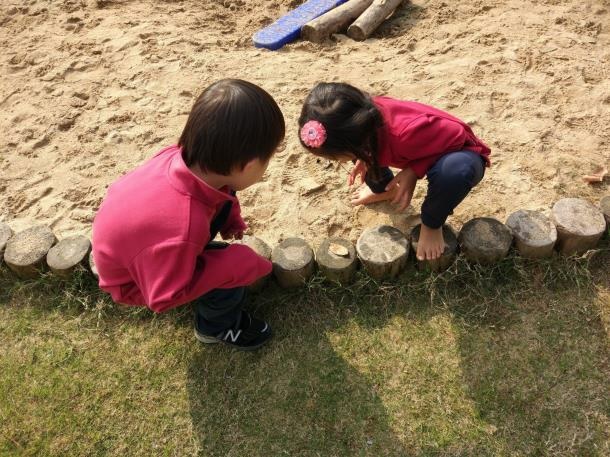 Within the early learning framework of the PYP, there is a strong case to be made for teachers leveraging students’ play and making it the foundation of inquiry, enhancing the status of play and celebrating the competency of children. Immediately, we realized that the provocation we were seeking had come straight from the perspective and imagination of our learners. Immediately we sought books about fairies from the school library. Supporting our line of inquiry, which was to bring stories we read, share and know to life, we became consumers of fairy mythology. Designing clothes and homes, making beds and blankets, we gave life to our theory of fairies in our playground through shared belief. We naturally began to explore our second line of inquiry, imaginative use of everyday materials, as we played and built. 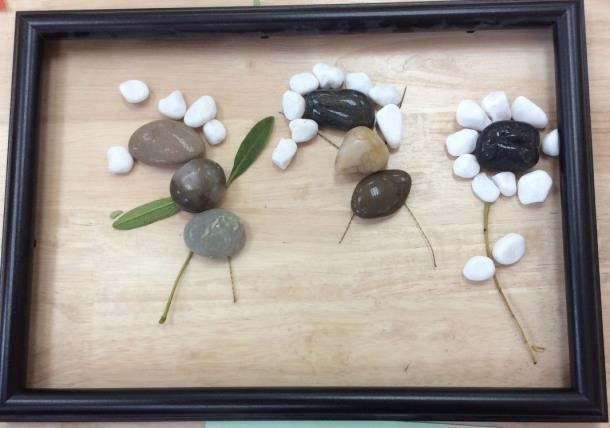 A portrait of the fairies by a student, using natural materials. That evening, I painted a small fairy door and hung it on one of the trees. The next day at play, a shriek of excitement told Anna and I that it had been found. We began to sketch fairies, talk about who might live behind the door, and whether we could only see it now because the fairies knew we believed in them. When the fairies sent us a letter with ingredients for a magical potion, we mixed the ingredients and began to wonder if a small fairy school existed behind the door, where making potions and flying lessons were taught. Students talked, played, drew, sculpted and danced their ideas of what magic might exist around us. We effortlessly explored our final line of inquiry, which was different ways to express ideas. The discovery of the fairy door outside. It may be said that often times, we unpack our central ideas through looking at the words on a page or through a conversation without context. Had Anna and I ignored the voices beside us that fateful day in the playground, we could have had a very different inquiry. Our lesson that day was that the possibilities for magic and wonder that exist when we listen, trust and follow the leads of our students is simply phenomenal. Pramling Samuelsson, I. & Asplund Carlsson, M. 2008. “The Playing Learning Child: Towards a Pedagogy of Early Childhood”. Scandinavian Journal of Educational Research. Vol. 52, issue 6. Niamh Price is from Ireland and has been teaching for ten years. She has been a pre-kindergarten teacher at Suzhou-Singapore International School in Suzhou, China for 6 years. 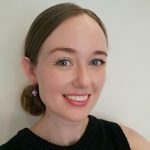 Prior to this, Niamh enjoyed 4 years of teaching and working with children and families in different areas of Dublin, Ireland. Niamh holds a Masters degree in Drama in Education, with a research specialization in play and creativity in the early years classroom. She believes in the importance of establishing relationships with every student who crosses the threshold of her classroom and is committed to finding out not just what each child can do, but who they are. Creating environments that invite beauty, curiosity and collaboration is an essential feature of her practice. My name is Jenna. Thank you for your article. I am excited to be coming to work with you next year. This is amazing work …by an amazing teacher, who I am proud to know personally. This clebration of student agency is a true reflection of the way educators here at SSIS Early Years work to empower and trust to our students….well done Niamh! Thank you Karen! You are so right… our school really does aim to always empower our students, helping them to be a head taller than themselves in their learning. I’m so lucky to work where I feel inspired and supported by amazing colleagues- thank you! Hello Niamh. My name is Retno from St Andrews Int’ school Green Valley Thailand. I really enjoyed reading your article. How old are your childre?. I teach 2-3 year olds at the moment. Please share more of the children learning journey, I would love to read it. Thank you for taking the time to read my article. My students are 4-5 years old, which is such a beautiful age for verbalising thoughts and ideas in a very imaginative way. I hope to share some more articles that touch on creating environments that invites curiosity in early years, which might be a nice read for your age group. Thanks again for your lovely comment, Niamh. This is a fabulous article by a fabulous teacher. I would love to be in your class Niamh. The fairy student led provocation sounds amazing! Thank you so much Agnes!! I wish I was in your class exploring this central idea, or at least my daughter was! What child wouldn’t be curious, excited and motivated by the provocation you were enlightened with, via your students. when we plan a unit of inquiry. We are, after all, facilitators, along for the journey with our students. Thank you so much for such kind and supportive feedback, Julie! It is only with time and experience with the PYP that I now understand that placing our little learners at the centre means giving them voice and choice in the direction of our units.. now I listen a little more than I talk, and love how that one small change has had an incredible knock on effect with my students. Thanks again for your lovely comment. I really enjoyed your article. I plan to share it with our new KG Team . I had no idea we had an enchanted neighborhood just next door. Creating provocations that are effective can be difficult when the pressure to get planning done is on. You are so right about listening to the children around us and use their creativity for inspirations. I really enjoyed this post. It reminds me of the flexibility of the Units of Inquiry, how that the children can naturally offer their own experiences that support their learning. Thank you. We are doing a Unit on Sustainability and how living things are interdependent. My students have just discovered an earwig nest, this is where our inquiry could drive us, very appreciated. Dear Jessica, thank you so much for your lovely comment. I hope you have a wonderful inquiry with your students into interdependence- the earwig nest has heaps of potential and sounds lots of fun! Niamh, what an amazing learning experience by both you and your little ones! I’m Katherine all the way from Peru and I really enjoyed your article. It made as remember how powerful is children’s perspective and the attention and consideration we as teachers should have when developing our UOIs. I’m really glad you enjoyed the article, Katherine. Thank you for taking the time to share such kind feedback.